Gin Gin! The humble glass of gin is now on trend for consumers so celebrate its new found popularity with these elegant high quality gin glasses. 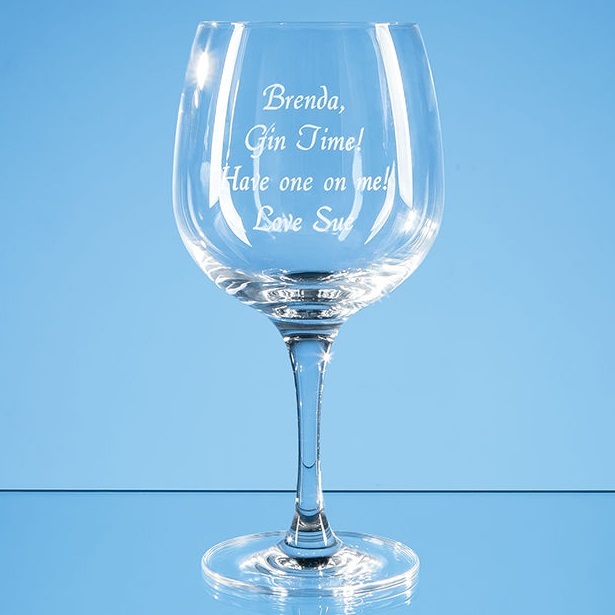 The Connoisseur Spanish Gin Glass has been designed to enhance to sight smell and flavour of its contents and with its generous engraving area it is perfect for the gin lover or those looking to promote their brand. The 755ml glass measures 197mm x 120mm. It comes in a skillet box as standard.